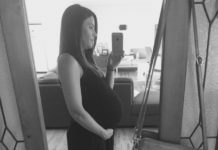 What Does a PregActive Movement Advocate Do? We are looking for some amazing, supportive and inspiring women who wish to help spread the word and promote a healthy and positive message to all new mothers or mothers-to-be. Our team is comprised of compassionate, dedicated, amazing and brilliant women who share one united voice to provide accurate and supportive information. We would love to have you join our community of supportive women as a PregActive Movement Advocate! 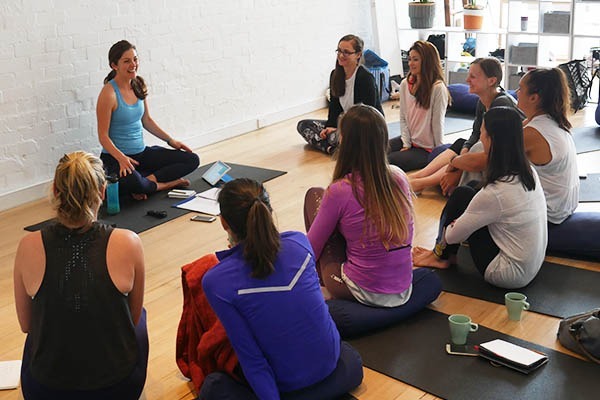 The PregActive Movement is a community of advocates for empowering women to lead a healthy lifestyle and feel that they are a part of a supportive community. Our advocates are in support of the values and mission of The PregActive Movement. The more women we can reach in your local area, and online, the more women we will help to be empowered with the knowledge they require to live a happier and healthier lifestyle, free of guilt and unrealistic expectations. Your role as an advocate will primarily involve you being a positive role model to any women you meet, and to connect and share the ‘Positive PregActive Message’ with others. To spread the word and reach as many women as possible, we need the help of our PregActive community. New mothers, and mothers-to-be, often require answers to specific questions, and randomly searching the internet is not always the most accurate or best option. Your knowledge and compassion could be just what’s needed to keep the conversation on women’s health going, and to reach out to those women who want to create a healthier future for both themselves and their children. There are many ways you can be a great role model and help change the lives of women you meet and connect with. If you have access to the internet, then you can help by sharing branded content, images and messages on social media that represent our movement’s values. • Providing resources on health & well-being to women who are pregnant. • Supporting mothers groups and becoming an advocate for women’s health. • Positively contribute to group conversations on our Facebook Group. • Posting and sharing healthy and realistic images of women. • Avoid promoting or ‘liking’ unhealthy and unrealistic body images. • Provide support to women who are experiencing dramatic body changes. • Support women you meet to be ‘PregActive’ and achieve a healthy lifestyle. • Share your experiences so women know that they are not alone! You can rest assured that you will be helping fellow women to achieve a healthy lifestyle and to rise above the pressures, stigmas and isolation that mean many women unnecessarily suffer in private. If you can connect and relate to our movement from a personal experience then you will understand how your contribution will go a long way in improving the life of women you come in contact with. Where Do Our Advocates Connect? Our PregActive Facebook Group is where we all connect to support each other and provide ideas. I am Ready to Make a Difference! • Be able to dedicate time to spreading the message of the PregActive Movement. • Be active on at least one social media platform, (Facebook or Instagram). • Be willing to take a PregActive Pledge to share a united voice. • Be able to uphold the values and message the PregActive Movement stands for and strives to promote women’s health globally. 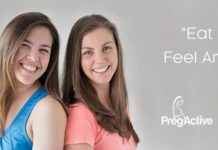 PregActive has been supporting women for many years and now we want to get our message out to ALL Pregnant women and New Mothers across Australia. If you believe that you would make a great PregActive Advocate, then we encourage you to join our team of women who want to share their experiences and make a difference. If You Can Positively Change the Life of just One Woman then You Have Made a Difference! The PregActive Movement and possible reach, connect and change the life of another women in need. We connect with our Ambassadors, supports and members via our Facebook page. You can help spread the word and ‘Like us’ on Facebook. Our Instagram account is where we connect through a ‘visual’ presence with our supporters, advocates and Movement members. You can change the life of a woman in need of support and help to improve their own health and wellbeing as a mother. Whether you have a little bit of time or a lot of time to dedicate, you can make a positive change create a global movement. 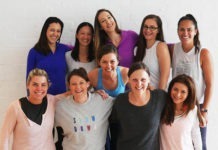 Our PregActive.com.au website provides a wealth of information, resources and tools to help women improve their own health and wellbeing. This is a great place for women to start their path to a healthier life! Let others know why you care so much and offer your hand in support. Most women are aware that they need to make healthy change in their lives, but without that helping and guiding hand, change is usually never made. This is where you can share your own personal story and get others to see why devoting time to improve their own personal health should be important to them. You can be proactive and approach community groups, councils or health professionals in your local area and see how they can play their role in helping women in need to live happier and healthier lives. If you have a positive cause you will find it easier to get people to support you when that cause has a tangible or measurable goal. Identify what your community’s tangible goal to help women to be more active, get healthy and accept the required help they need to feel a part of a supportive community. 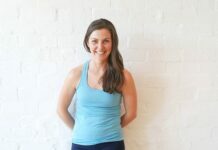 Attend exercise classes with a qualified instructor. Get a health professional to speak to a group of new mothers. Visit those women in need of support & help at home. Create a helpline for women who actively seek help. Create a PregAqua class for pregnant women. Encourage pregnant women to attend all check-ups. 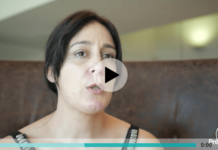 Create a support group for women with postnatal depression. Share Healthy & Nutritious Recipes. Share our PregActive information videos. Start a Mums & Bubs event. Everyone has a Story… What’s Yours?